Alta Precision’s landing gear struts are displayed in the finished product. Alta was faced with sourcing equipment to handle the complexities of manufacturing landing gear struts for the aerospace industry. By nature, their components are highly stressed, complex, with thin walls in tough metals such as 300M alloy steel. They require a profiled deep hole to be drilled and machined down the center. At 9 in [230 mm] in diameter and over 7 ft [2.1m] deep, this hole can only be performed on a dedicated deep hole drilling machine, not a conventional machining center. 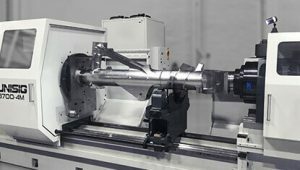 In addition to having the capability to machine these bores to strict tolerances, Alta was seeking a solution that allowed ergonomic setup and operation, with the versatility and power to handle a variety of complex parts in different lengths, on the same machine. Their landing gear struts offered an additional challenge, with an asymmetrical feature that both requires a swing of 54 in [1370 mm], and acts as an off-center weight on a workpiece which is counter-rotated during the drilling process, essential for achieving the required straightness tolerances. All of these challenges exist in a single type of component that is essential to Alta’s business. UNISIG created an ideal solution by optimizing its proven B700 machine model to meet the specific demands of this application, while satisfying Alta’s requirements for a powerful, accurate, and efficient machine. The standard B700 deep hole drilling machine uses counter-rotating part and tool for maximum accuracy, and is rated for solid drilling of holes up to 8 in [200 mm] in diameter, and counterbored holes up to 12 in [300 mm] in diameter, powered by automatically shifting headstocks. The tool headstock is rated at 124 hp [94 kw], while the work headstock has 90 hp [67 kw], allowing Alonso’s team to utilize the power needed to cut through their tough alloys with ease and reliability. High performance spindle drivers deliver this power while monitoring the spindle motor speed, to automatically adjust output characteristics, regulating speed control to extremely close tolerances, regardless of spindle loading. The B700, like many UNISIG machines, is capable of performing the BTA deep hole drilling process, along with alternative methods such as counterboring and forming, which are used on Alta’s landing gear struts for hole profiling. The machine feed thrust is generated by 4 in [100 mm] diameter servo-driven ballscrews, preloaded for high rigidity and zero endplay, improving tool life, depth control, and surface finish across multiple processes, especially bottom forming. These features enable Alta’s workpieces to be machined to the highest tolerance standards possible, and confirming their place as an industry leader. 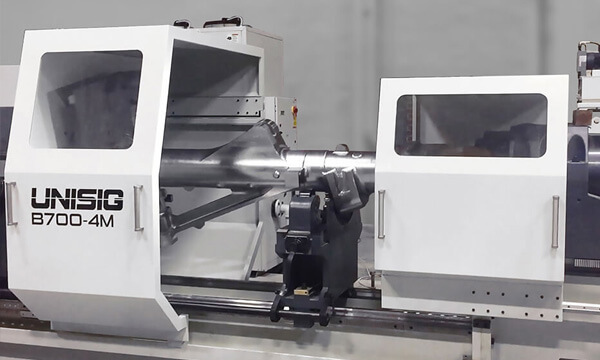 UNISIG’s solution for Alta Precision developed from this machine, with design updates to reach specific design and performance goals, most notably being the drop-bed design to accommodate the extreme swing of the strut workpieces. The drop is specifically engineered for the range of parts that Alta was anticipating, but does so without sacrificing machine ergonomics or having major foundation requirements. Workpiece spindle orientation and lock function simplifies part loading and unloading by starting and ending cycles in the most convenient orientation to the operator. Spindle orientation is also in effect on the tool side, ensuring the tool exits the workpiece at cycle end without risk of impacting the finish surface. 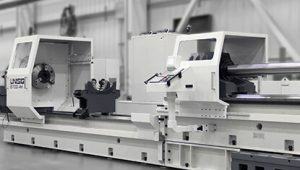 The B700 drop bed machine allows operators to program part length through the CNC, which automatically positions the workpiece headstock relative to the pressure head. Operators can set up and run parts quickly and easily, no matter what variations come their way. 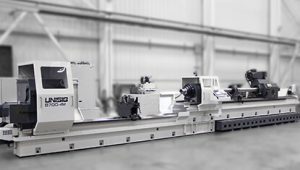 Alonso also comments that the ease of operation is notable, and the entire machine is accessible for operators – setup, indicators, controls, everything they need to run the highest precision parts. UNISIG’s team managed the project from beginning to end. “Everything came together and our UNISIG machine is an integral part of the cell for this component. We have a reliable machine and a reliable process.” remarks Alonso. From initial design discussions, to engineering and process development, to manufacturing, installation, and training, “It was all seamless” he says.